In 1963, Tulsa businessman Paul A. Roll purchased Heritage Hall and Heritage House in Bartlesville, OK. Recognizing a greater need to serve area elders, he built Heritage Manor in 1971, and Heritage Villa in 1985. After 53 years of service, Mr. Roll sold Heritage Villa to Birchwood Properties in July 2015. In turn, Birchwood retained the services of Arbor Springs of Oklahoma, LLC to operate Heritage Villa. Arbor Springs is a 2nd generation family business owned by Chuck and David Wurth, who have over 40 years of combined long term care experience. Heritage Villa was founded on the concept of family taking care of families, and to no exception, is the current service mantra with the new ownership. “Paul Roll began the Heritage Homes with a commitment to give personalized care and service. We honor that message and continue to incorporate that into our service model.” Chuck Wurth, Arbor Springs. 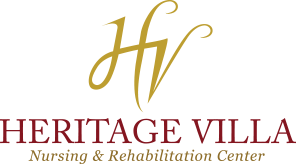 Heritage Villa Nursing Center enjoys a winning reputation and staff longevity due to our personalized environment. Staff members promote independence, rehabilitation, safety, and memory care to assist each individual to retain dignity and function in a loving community setting. Residents and their families are highly motivated and involved. Click here to check out our facility!